Bitcoin mining has been included in a draft list of industrial activities the agency is seeking to stop, as they did not adhere to relevant laws and regulations, were unsafe, wasted resources or polluted the environment, the report said. The public can comment on the draft until May 7. 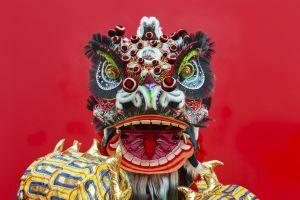 Chinese miners are major players in the Bitcoin mining industry. For example, at the time of writing, two largest mining pools - BTC.com and AntPool (both owned by Chinese mining hardware giant Bitmain) - hold almost 32% of the Bitcoin network hashrate, which essentially measures how much computing power is needed to maintain the network. If the new rules are enacted and Chinese miners will be forced to move to foreign countries, "Bitcoin mining will no longer be dominated by China but become more decentralised," Michael Zhong, an analyst with Beijing-based cryptocurrency research firm TokenInsight, was quoted as saying by South China Morning Post. "If this ban does end up happening its more likely to push BTC prices up than down. The loss of cheap Chinese electricity would raise the mining cost, which is net positive on price. It would also serve to kill the FUD that Bitcoin mining is centralized," Mati Greenspan, senior analyst at social trading platform eToro, tweeted. Following the news, Bitcoin is up by 0.29% in the past hour (07:16 UTC) and is down by 0.19% in the past 24 hours. The move by the Commission marks growing government pressure on the cryptocurrency sector. A year ago, articles from influential state-run media outlets signaled that further crackdowns could be launched to force out remaining cryptocurrency trading and mining activities from the country. However, until now, miners have shown a surprising resilience. Moreover, the upcoming rain season in China should once again bring low electricity prices revitalizing the crypto mining industry. Nonetheless, many of those mining companies were looking to relocate to more favorable locations overseas such as Iceland, Canada, and the US, to name a few. Also, there are concerns that China holds more influence over Bitcoin than many are ready to admit. China "threatens the security, stability, and viability of Bitcoin” with its “political and economic control over domestic [cryptocurrency] activity, and control over its internet infrastructure,” a study, published in October 2018, from Princeton and Florida International Universities claimed. 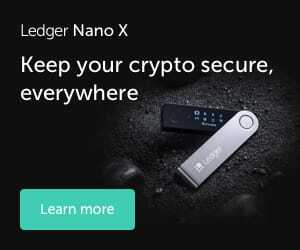 “If the Chinese government assumed control of domestic hash power, this property would grant them an advantage in selecting blocks for the ledger, which is important for some types of attacks,” according to the research. It defined four attack classes: censorship, deanonymization, weakening consensus, disruption to competing mining operations. 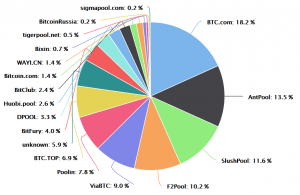 In total, the academics identified 19 different attacks available to Chinese mining pools. "In theory it's possible for a government to launch a 51% attack. If a government like the US or China decided they wanted to hurt Bitcoin, they could either rapidly shut down a lot of mining power so that they control a majority of what's left, or they could deploy new hashpower that takes over the network," Prof. Matthew Green of John Hopkins University told Cryptonews.com recently. However, he doesn't regard a 51% attack on Bitcoin as especially likely though, due to the enormous expense involved.